TurtlePop: Journey to Freedom available now on Nintendo Switch! 9, March 2018 – DigiPen Games Studios and Zengami are delighted to announce that TurtlePop: Journey to Freedom, is available now worldwide exclusively for Nintendo Switch. 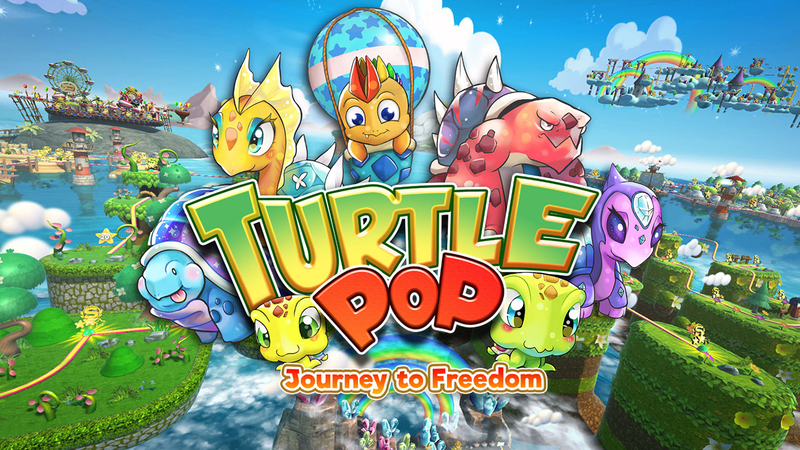 TurtlePop: Journey to Freedom is a platform puzzle game that introduces Bebo, Deephi, Slimmie, Smarts, Willis and Sparky the Turtle. Master new gameplay with multi-character control and turtle-linking, environment manipulation, item deployment and match 3 mechanics that make challenges even more fresh, intense and fun! They are aided by ‘The Genie’, who is an airborne support turtle that you can use to manipulate the game world and enhance the abilities of the turtles! In Campaign mode, free the turtles from a menagerie of over 100 stages across seven game worlds in single or two player co-op modes. Battle and play with friends in local Multiplayer with 1-4 players in versus or co-op modes. 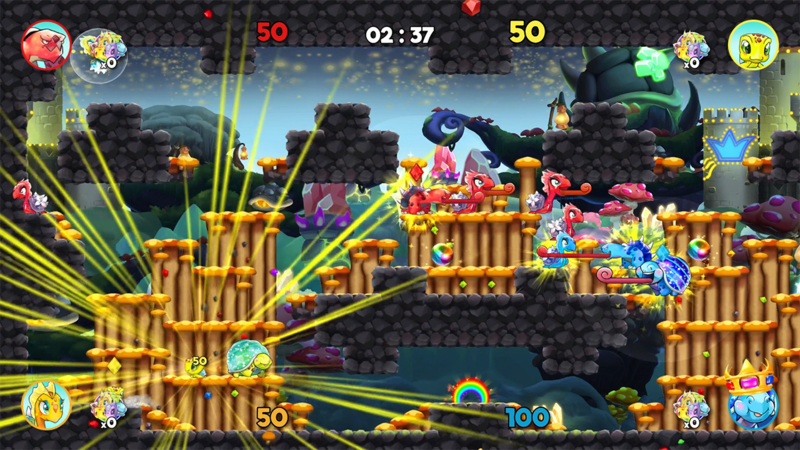 Arena Battle Crown Thief and Arena Battle Lick’em Up modes pit players against one another in a classic Arena Battle tournament format where the aim is to wear the crown the longest or lick, color and free the most turtles to achieve victory. 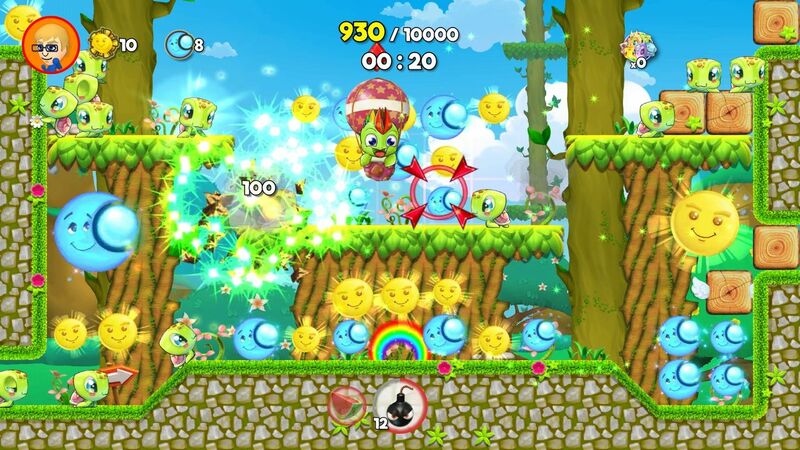 In Turtle Clash mode, battle your friends in split screen on over 75 stages that can be unlocked in Campaign mode. TurtlePop: Journey to Freedom is OUT NOW on Nintendo eShop!